in the Midlands for over 20 years. Providing professional and reliable grab hire in the Midlands, We are a fully licensed waste carrier with the Environment Agency. Trusted by local authorities, business parks, and individual companies around the Midlands, for 20+ years. 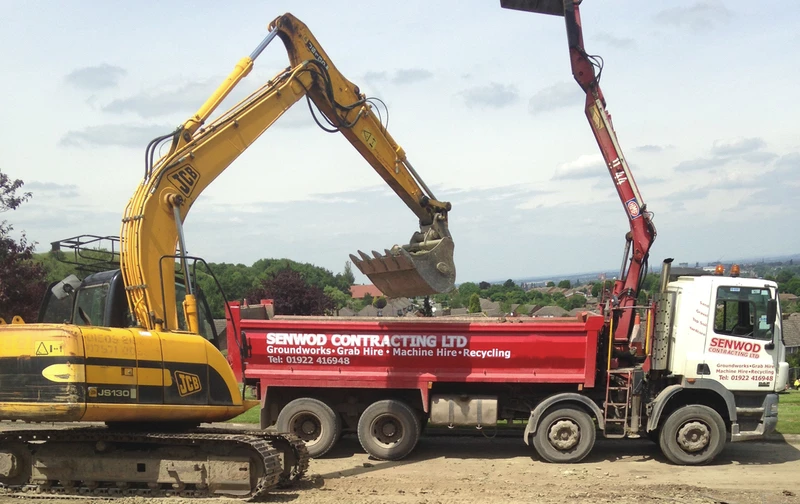 Senwod Contracting Ltd is a well established light civil engineering company which has built up an enviable reputation over the last 20 years. We typically work for local authorities, utility companies, care homes and commercial businesses. Grab truck and lorry hire, for waste disposal, site clearance, to carry your muck away. Low price for high quality. Don’t waste your time looking any further! Have You Used Senwod For Any Of Our Services? Please leave us a review by clicking the button below.